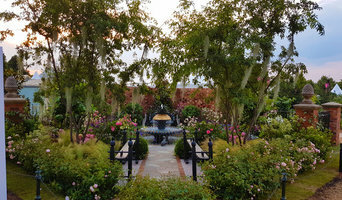 Sadie May Studios is a multiple-award-winning professional landscape and garden design practice based in Warwickshire providing a full in-house garden design and landscaping service. We work with residential and corporate clients throughout the UK and abroad including Warwickshire, Solihull, Alcester, Stratford-upon-Avon and the West Midlands. The company is run by fully qualified Garden Designer Sadie May Stowell and Landscape Architect, Jay Dawson. With 28 years combined experience in Garden Design, Horticulture and Landscape Architecture, we believe in creating inspiring, beautiful outdoor spaces that are tailored to our clients lifestyle choices. Our fully qualified garden design studio provides a full, in-house design and landscaping service, where we excel in quality, attention to detail and customer service. Sadie May Studios has won several Garden Design Awards including an RHS Silver-gilt medal at the Chelsea Flower Show in 2014 for the ‘Viking Cruises Norse Garden’. Our Garden Design expert, Sadie May Stowell was overall winner of the ‘Channel 4 Great Garden Challenge’ designing a total of four gardens. 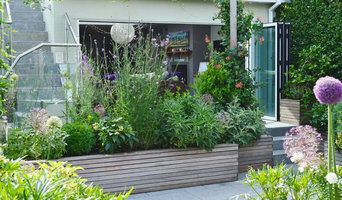 Further details of our Garden Design awards can be found on our Media & Awards page. Sadie May Studios have an extensive portfolio of residential and commercial projects through to show gardens. Please visit our Garden Design or Landscape Architecture Portfolios to view a selection of projects undertaken by the practice. Our in-house construction team are specialists in many bespoke products including Resin Bound Gravel Driveways and Surfaces. A garden design company offering a concept to completion service. I like to work closely with my clients to create a garden that reflects their style, practical needs and budget. Working alongside a landscaper and horticulturist we design, build, plant and maintain your garden. I work mainly in Birmingham and the West Midlands and I have produced successful designs for a variety of gardens; from large family spaces, in rural settings, to small urban gardens. I have been designing gardens for over twenty - five years and each one is unique to the Client. My designs are based on good garden structure and then softened with planting. In style they are traditional with a twist through to contemporary, cutting edge and range in size from small back gardens to large estates. 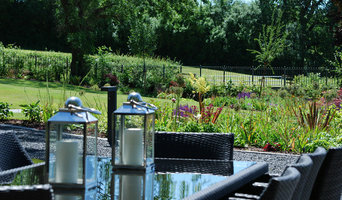 Each garden is bespoke to the Clients' tastes and requirements. Unique Landscapes is a RHS award winning design and construction company creating inspirational traditional, modern and contemporary gardens and landscapes, with a passion for plants. Now in it's 18th year of business, Unique Landscapes offers a complete in-house package to include landscape consultation, design, planting plans, construction & associated services to include lighting, furniture, swimming pools, tennis courts etc. 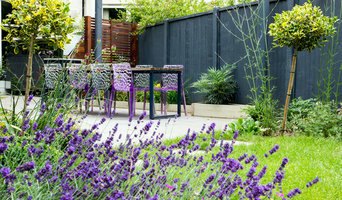 We encompass clever manipulation of space with year round interest with all planting schemes. Our work is nation-wide for both private and commercial clients. Based in Halesowen, we are one of the leading landscaping and artificial grass companies in the West Midlands. We are the only approved installers of the Quickgrass product in the West Midlands. We are dedicated to providing the best service, and whether you require our landscaping service or artificial lawn installers, we are happy to work with you and create a great design that we can turn into a beautiful reality. Behind The Red Door is young design garden business run by Pavlína Matlasová. She graduated in June 2017 at The Cotswold gardening school in One year course in Professional Garden Design. Main focus of her work is to reflect clients` wishes, bring originality into the designs and work with nature. The idea is to interpret your ideas into your dream garden. Practise offers full garden designs, redesigning, planting plans and other help in form of design consultation. Welcome to Gardens of Smiles Gardens of Smiles is a relatively new landscape design and build practice comprised of Daria Madders and Jonathan Edwards. The two staff members have a wide variety of experience and knowledge of the field, and can call on other human resource when necessary for larger projects. Gardening experts both, they are always keen to discuss any projects you have in mind and guide you towards getting the garden of your dreams. Landscape & garden design & builders, operating in The West Midlands from South Birmingham - south and west. We provide a collaborative, design evolution service along with clear and unambiguous, cost planning and programming, and craftsmanship in delivery. With a solid background in the construction industry and a passion for horticulture, the two elements fuse together to delivery exceptional, visionary gardens at affordable prices. Ian has extensive experience in landscape and garden design; most notably in private country estates, new and redeveloped country houses, and small and large town houses. He also designs in the public realm, including leisure attractions both in the UK, and overseas. For landscape visualisation, concept designs and photomontage, Ian’s distinctive hand drawn and computer illustrations are sought-after by designers and architects alike. Jayne Bennetto is a qualified Garden Designer and Landscape Architect and an RHS Medal Winner I am passionate about designing gardens. I work closely with clients to ensure that the completed design fulfills every brief. Each project is a unique creation designed to transform your space into a garden that fulfills your needs and wishes. After setting up her own practice, Jayne continued her studies at the University of Gloucestershire obtaining a BA (Hons) in Garden Design and Landscape Design. Following the completion of her degree she continued to study for the Post Graduate Diploma in Landscape Architecture and is now a qualified Landscape Architect and member of the Landscape Institute. Her practice is based in Stourbridge, on the border of Worcestershire and the West Midlands. Quercus Landscapes Ltd is a Shropshire based Landscape Architecture and Garden Design Practice. A family business offering landscape architectural consultancy nationally and garden design services locally within the West Midlands, Shropshire, Worcestershire and Herefordshire. A landscape architect will handle all design, supply, construction and administrative elements of your garden or landscaping project. They will take into account your needs, the Penn, West Midlands climate and unique advantages and constraints of the landscape architecture. Typically, work will be based on ecological and environmental considerations, and a garden will be planned not only to look its best but also to facilitate future maintenance and growth so that it continues to flourish. 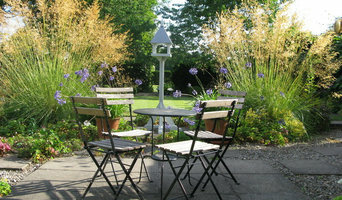 A Penn, West Midlands landscape architect can also design any outdoor buildings that are to be featured in your garden. Everything from design blueprints through to the plants themselves should be provided by your Penn, West Midlands landscape architect. If there is other architectural development taking place on your site, bring the landscape architect in as early as possible. The expertise a landscape architect can apply to understanding your space and the natural environment could be vital to planning your project. Let your Penn, West Midlands landscape architect work closely with your architect, surveyor and any other contractors in order to develop landscape architecture that works in accordance with any other construction. This is important from a design perspective as well as on a practical level – changes to the grading of a landscape and modifications such as drainage can have serious implications on the viability of your land for extensive building and structural works. In order to resolve any planning permission issues, submit all applications for building and landscape architecture together, well ahead of the project. The scope of garden designers, or landscape gardeners, is often more limited to green space projects which will optimise your existing outdoor space rather than altering the landscape architecture as a whole. Whereas landscape architects specialise in the structural aspect of garden planning and building, garden designers in Penn, West Midlands will carry out projects that are of aesthetic and horticultural value. Landscape gardeners will make your garden the best version of itself with features such as walkways, patios, water features, fences and lighting, as well as choosing the right plants, trees and flowers. The practical role of a garden designer may vary by firm – some offer just the plans, requiring a separate contractor, while others fulfil the project in its entirety, from conceptualisation of the landscape gardening to construction. Don’t be put off by the former if you happen to find a good Penn, West Midlands garden designer that you like – he or she will have local industry connections to introduce you to quality, reliable gardening professionals with whom they have existing relationships. Here are some related professionals and vendors to complement the work of landscape architects & garden designers: Landscape Contractors, Garden & Landscape Supplies, Tree Services, Lawn & Sprinklers, Decks, Patios, Sheds & Summerhouses. How do I choose landscape architects or garden designers in Penn, West Midlands? When choosing your Penn, West Midlands garden designer or landscape architect, be sure to research their qualifications and look at examples of their previous work. A portfolio of previous landscape architecture or garden projects is important to ascertain both their credentials as well as their style. Once you have shortlisted or chosen your architect or designer, an on-site meeting is essential so they can see exactly what they’ll be working with. Stay briefed on all plans and developments, both before and during the project as a plan you approved previously may change during the course of the project. Be very clear on your budget – just like plans, costs may alter while work is underway so ensure your professional keeps you informed and does not incur additional expense without approval. If you are open-minded and budget-conscious, consider approaching new graduates keen for experience, who may negotiate a lower rate than more experienced professionals. How long have you been landscape architects or garden designers in Penn, West Midlands? Find a landscape architect or garden designer on Houzz. Narrow your search in the Professionals section of the website to Penn, West Midlands landscape gardeners. You can also look through Penn, West Midlands photos to find a garden you like, then contact the garden designers in Penn, West Midlands who worked on it.